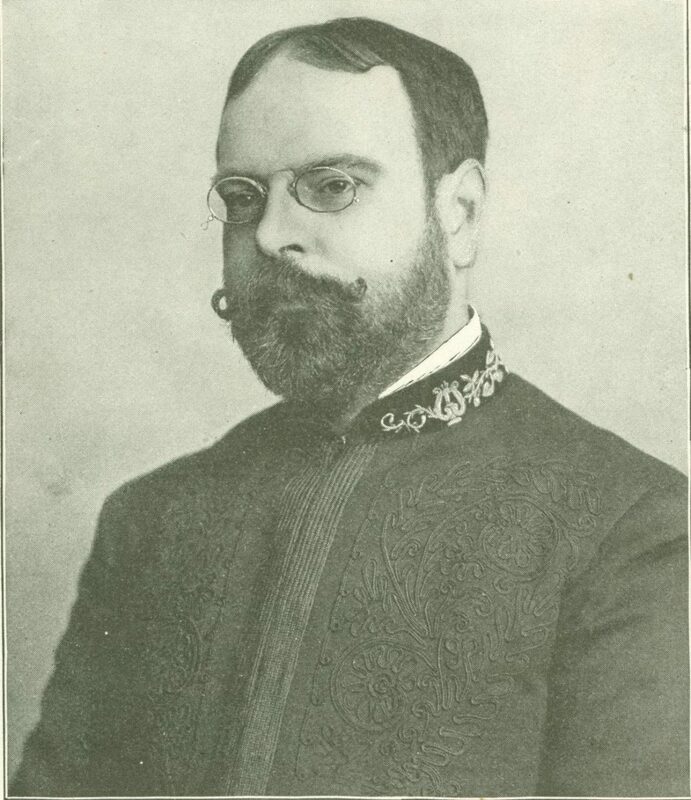 November 6, is the birthday of one of my heroes, John Philip Sousa (1854-1932). Most remember him for his marches they may have played in school or from hearing the “The Stars and Stripes Forever” during Independence Day celebrations. Many recall the almost caricaturistic portrayal of him in that 1952 American biographical film. What is interesting to me Sousa originally began his musical career as a songwriter. If anything he wanted to be the next Arthur Sullivan or Victor Herbert. He began his conducting career as a music director for a production of HMS Pinafore (he also did the orchestrations which were complimented by Sir Arthur) in Philadelphia. After failures in the operetta field and his appointment as Director of the US Marine Band, his attention turned to band music and to writing marches. All in all he produced hundreds of marches, works for band, transcriptions, songs, operettas, medleys and was responsible for collecting nations anthems and patriotic airs from all nations to be performed by the Marine Band in protocol settings. However, Sousa’s contributions to American music and our culture as a whole cannot be underestimated. He was one of America’s greatest “Superstars” in an era before that term was even born. He was a consummate professional in every musical aspect of his life. He was an athlete participating in baseball, boxing, horseback riding and trapshooting. He championed copyright laws for musicians helping create the American Society of Composers, Authors and Publishers (ASCAP). He lobbied for better pay and recognition for military bandsmen. Sousa’s testimony before congress helped with adopting the “Star-Spangled Banner” as our National Anthem. He was an author of many books and plays in addition to his serious compositions for orchestra and opera stage. Sousa was a unabashed symbol of patriotism, discipline, and Victorian respectability and order in an age of rapid social change. His popularity rose concurrently with the rise of American imperialism and commercialism in the late 19th century. Sousa Band concerts provided a vibrant outlet for nationalism while enhancing American prestige, for Sousa stressed American composers and uplifted the reputation of American music. His image was much the result of the mass publicity efforts and promotional techniques of professional managers like David Blakely who advertised his client with illustrated posters, magazine and newspaper articles, photographs, and local interviews. In an age preceding radio and the high-fidelity phonograph, Sousa provided countless Americans with their first experience of professional music. Sousa’s love for his country went beyond his music. When America entered World War I he left his touring band (at age 62) to run the Navy music program at Great Lakes Training Center opting to receive two dollars a month for his services. He worked with 300 young men training them for duty in fleet bands and was discharged as a Lieutenant Commander. Naval Reserve. He wore that uniform proudly for the rest of his life, even being buried in it. Happy Birthday John Philip Sousa! Just like the flag of the free may your music be our standard forever! This entry was posted on Saturday, November 5th, 2016 at 10:48 pm	and is filed under General Interest. You can follow any responses to this entry through the RSS 2.0 feed. You can leave a response, or trackback from your own site. Beautiful article! Love Sousa Marches! Thank you!